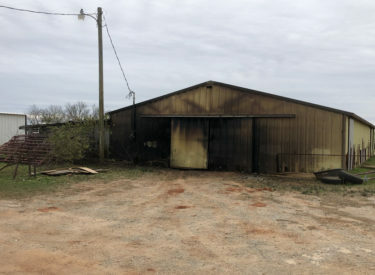 CASHION, Okla. (AP) – An Oklahoma schools superintendent says students have received “overwhelming” support after a weekend fire destroyed a barn and killed livestock. Cashion Schools Superintendent Sammy Jackson said Monday that pledges to replace property and animals destroyed in Saturday’s fire have come from as far away as Georgia. Jackson says the district suspended donations after its insurer tentatively agreed to replace all school and personal property destroyed by fire. Firefighters extinguished the blaze in about 10 minutes, but the animals died of smoke inhalation. Jackson says the fire was caused by an electrical problem. Cashion is about 25 miles northwest of Oklahoma City. Cashion Schools FFA used the barn.